Looking for the Top Home Security Systems? Get: Reviews, Comparisons, Info and Advice on How to Protect Your Home and Family! Get in depth reviews and analysis from industry experts. Rather just watch a video summary? We’ve got you covered! In depth head to head comparison reviews by industry experts. See how our top security companies compare side by side. Get reviews from actual customers and other readers. Download our complete Home Security Guide. Do I really NEED a Security System? The Facts. A break in occurs every 14.6 seconds..
More than 200,000 homes are burglarized each year in the US.. The average loss per burglary is $2,185. Homes without security systems are 300% more likely to be burglarized. 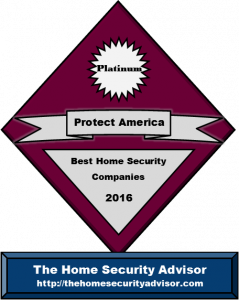 Protect America ranks #1 at the top our list of top alarm companies by providing state of the art wireless home security systems at guaranteed lowest prices. Their home security packages offer free equipment and all-inclusive monitoring packages with NO up front equipment costs. Customer support walks you through the entire installation process and is both knowledgeable and friendly. If you’re in the market for a home alarm system, Protect America is the best overall value! Frontpoint offers an exceptional all around value in out Top Alarm Companies. The Frontpoint Security systems utilize affordable, state of the art cellular communication technology monitored though a reliable 24-hour nationwide monitoring program. Installation is straight forward and their customer support staff is excellent. If you’re looking for a self installed alarm system to protect your home and family, Frontpoint is an outstanding option. 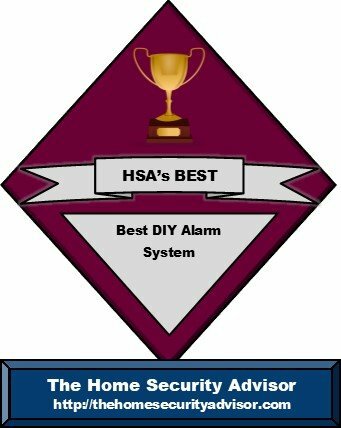 It is our #2 pick in the HSA 2016 Top 10 Alarm Companies by the slimmest of margins! Link Interactive earns a spot on our top alarm companies list by offering exceptional customer service and one of the most complete security and home automation programs in the industry. They offer an extensive equipment selection and extremely competitive monitoring packages which feature the top rated Alarm.com interactive services with Crash and Smash protection and 2 way voice authentication. Check out our in depts review of Link Security. Vivint Security offers state of the art security and home automation equipment and the most advanced home management app in the market. They have recently restructured their entire marketing strategy to eliminate lengthy monitoring contracts and create a program which is more transparent by separating equipment and monitoring fee structures. Customers now have the option of financing the equipment or purchasing it outright without being tied down to long term monitoring contracts. This should eliminate the vast majority of customer complaints which have plagued them over the years. To make sure that you get the best deal and have a clear understanding of their program, we recommend that you call in at 855-695-1727 and speak directly to an in-house Vivint representative at the number listed above rather than relying on verbal assurances of a highly commissioned door to door representative. They offer an extensive equipment selection and competitive monitoring packages which feature the top rated Alarm.com interactive services with Crash and Smash protection and 2 way voice authentication. Check out our in depth review of Vivint Home Security. Protect Your Home, ADT’s only Authorized Premier Provider, partners with the most well known provider of home security systems. With monitoring from the largest security company in the world, they are highly regarded and recognized for quality professional installation services. A young company with limited track record. Armorax leapfrogged a number of companies to earn a spot on our list of the top alarm companies of 2017 by offering a top of the line 2GIG GC2 system for FREE and combining it with the lowest cellular monitoring rates -just $24.95/mo. And this is not some stripped down monitoring package, Armorax pricing includes the top rated Alarm.com App with interactive services with Crash and Smash protection and Geo Services. 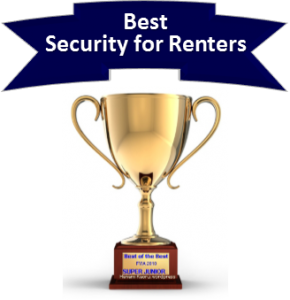 Armorax was also recognized for offering the Best Apartment Security System. Combine that with a 3 Year Warranty, Rate Lock Guarantee, and a 30 Day Return Policy with no activation fee and free shipping…and you have a combination from this “up and comer” that’s very hard to beat! Outstanding Customer Service with a variety of unique monitoring options. 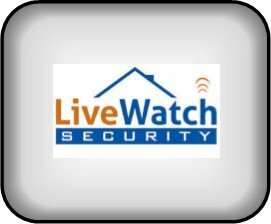 Livewatch Security offers outstanding customer service and, one of the most complete security and home automation programs in the industry. Their product portfolio is among the most comprehensive in the industry as are their advanced monitoring services –featuring the ASAPer and Crash and Smash Protection. Requiring just a one year monitoring commitment and combining that with a full 1 year return policy, LiveWatch has virtually eliminated consumer risk…and offers a truly outstanding option to anyone looking to protect their home and family with a quality security and home automation system. Contract Length - 12 mo. Ackerman Security is a traditional, local home security company that offers service in the Southeast and Mid Atlantic. They are an authorized Honeywell dealer that provides customized, professionally installed home security…at a somewhat premium price. For details, check out the full Ackerman Security Review and our 2017 comparison of the Best Home Security Companies. ADS Security offers professionally installed systems throughout the southeastern US. While they are a reputable company, they have a limited service area and charge a premium price for their services. You may want to take a look at our Top Home Alarm Systems of 2017 after perusing our ADS Security Review. Alarm Grid offers month to month monitoring and a premium security solution… at a premium price. Equipment is DIY only and must be purchased separately from the monitoring..so upfront costs are significantly higher than most. For more information, look over our Alarm Grid Review and see how the some of the best alarm companies size up in the Best Rated Home Security Systems chart. Alarmforce Security provides professionally installed security systems to a limited US service area. They are able to keep up front costs and monthly monitoring costs competitive by manufacturing, installing and monitoring their products….and LEASING them to their customers.For details, read our Alarmforce Security Review and see how other top rated alarm companies match up in our Top Alarm Companies Comparison Chart. Alliance Security professionally installs security systems as a Monitronics dealer. Their primary marketing vehicle is telemarketing, which has landed them in hot water with the FTC and resulted in an NR BBB rating. They install 2 Gig home security systems. For more information, check out our our Alliance Security Reviews and see how other top rated alarm companies match up in our Top Rated Home Security Systems Comparison Chart. AMP Security is a Utah based authorized Guardian dealer that sells and professionally installs Honeywell and Qolsys home security systems. Their primary means of sales distribution is through an extensive seasonal commissioned door to door sales force. This marketing approach, combined with a 60 month contract and an automatic auto renewal clause…has led to a rather dubious C+ BBB rating. 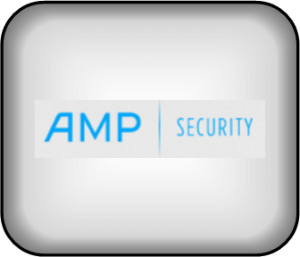 For details, you can consult our AMP Security Review. We would highly recommend that you consider other top rated alarm companies listed in our 2017 Top Alarm Companies. 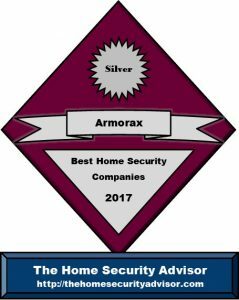 Armorax Security is top notch new DIY alarm company that markets their Armorax Blackbox security system with non-monitored, self-monitored or professionally monitored options. They’ve earned an A BBB rating by offering flexible billing options and offering the latest top of the line 2 Gig Technologies 3GC systems. For details, you can consult our Armorax Security Review. You can compare them with other top rated alarm companies listed in our 2017 Best Home Alarm Companies. The AT&T Digital Life Home Security programs offer a competitive security and home automation package on the higher end of the spectrum. Fully loaded, the program gets pretty pricey compared to some of other top alarm companies. Get additional information in our 2017 AT&T Digital Home Security Review and weigh the pros and cons against our Top Rated Home Security Companies Chart. Bay Alarm is a traditional, local home security company that offers a wide array of products and services, and premium quality Honeywell home security systems. Their services are not available outside California, and will likely be substantially higher than our Top Home Alarm Systems of 2017. Get a thorough analysis in our Bay Alarm Home Security Review. Moni Security has rebranded as Brinks Home Security and completely revamped its home security program. Brinks Home Security Systems are available as DIY or can be professionally installed through an extensive dealer network. Because of all the changes prospective Brinks alarm customers should check out all their options in our guide to the Top 5 Best Home Security Systems or can find out additional information in our Brinks Home Security Review. Cox Homelife Security Systems bundle home security and automation services with Cox Internet Service. Basic equipment packages are reasonably priced, but the SMC control panel is leased and requires an additional $3.00/mo. rental fee along with the 24 month monitoring contract. To get a full rundown of the Cox Homelife program, head on over to our Cox Home Security Review …or get a side by side feature comparison of our best home security company selections in our Top Rated Home Security Systems Comparison Chart. CPI Security is a regional home security company that provides professional installation of home security and automation systems in the southeast. Their services are not available outside of a 4 state region. They require a 60 month contract for their wireless systems, and their monitoring rates will likely be substantially are significantly higher than our Top Home Alarm Systems of 2017. Before committing to a long term contract, find out why some customers are upset in our CPI Security Review. EMC Security is a regional home security company servicing the Greater Atlanta Georgia Metropolitan area. Their services are not available outside of this very limited service area. While they offer low basic monitoring rates with no contracts, they do not subsidize equipment costs and do not provide national service like our Top 5 Best Rated Home Security Systems of 2017. If you live in the Atlanta area, you may still want to consider them, so check out details in our EMC Security Review. Guardian Protection Services offers a nationally recognized brand installed and serviced through both corporate owned and an authorized dealer network. A Top 10 security system provider, they certify the individual dealers to help assure a quality customer experience, but one should evaluate the local dealers carefully. Get details in our Guardian Security Review or see how out best home security companies stack up in our Top Alarm Companies Comparison Chart. LifeShield produces a proprietary home security system with nationwide 24/7 monitoring provided by Protection One. Owned by Direct TV (Now AT&T) their pricing is competitive, and they offer both do-it-yourself and professional installations with very competitive pricing and options. Find out more in the HSA Lifeshield Security Review and see how the compare to Best Alarm Companies in the Best Home Security Systems Comparison Chart. LivSecure is the Direct To Consumer nationwide DIY Alarm division of My Alarm Center. They provide professionally monitored Qolsys equipment and require a 3 year monitoring agreement. 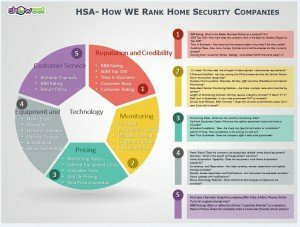 Find out more in the HSA LivSecure Security Review and see how the compare to Best Alarm Companies in the Home Security Systems Comparison Chart. Monitronics offers a nationally recognized brand installed and serviced through their dealer network. Monitronics, the 2nd largest alarm company in the country, certifies the individual dealers to help assure a quality customer experience. In our Monitronics Review you can get a more thorough analysis and then see how they stand up to other home security companies our a comparison chart of the Best Home Home Alarm Systems of 2017 . 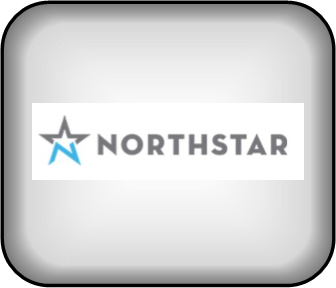 NorthStar Alarrn Services provides professional installation of Honeywell Security systems. Although they rank in the SDM Top 20, a C+ BBB rating, 60 month contracts and auto-renewal clauses prevent them from climbing into the ranks of our Top Rated home security systems. In our NorthStar Alarm Reviews, you can get a more thorough analysis and then see how they stand up to other home security companies our a side by side comparison chart of the Best Alarm Companies of 2017 . Protection One features a wide array of products and services-including both DIY and Professionally installed home and small business security systems. The 6th largest security company in the US, Protection One is a reasonably good choice, especially for those who require top notch customer service. However, if one requires more than just a basic system, up front costs can be significantly higher than some of our top rated alarm companies. To see if Protection One is right for you, consult our Protection One Review…and don’t forget to see if they made the grade in our Comparison Chart of the Top Rated Home Security Systems. 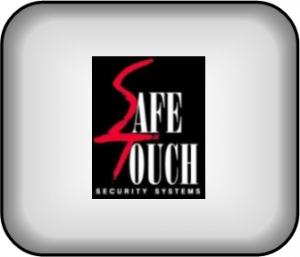 SafeTouch Security is a local/regional home security provider in the southeast that services Florida and Georgia. They provide professional installation of Interlogix and DSC systems and operate their own UL Listed monitoring center. They maintain a B BBB rating and rank 39th on the SDM Top 100. Find out why some customers get miffed with the contrat terms in our SafeTouch Security Review..and see if they made the grade in our Best Home Security Systems Comparison Chart. Security One is a California based local/regional home security provider.They provide professional installation of Interlogix and Honeywell alarm systems. They currently have a NR BBB rating. Find out more about what customers feel about Security One in our Security One Alarms Systems Reviews, and and see if the made the grade in our Top Rated Alarm Systems. Simplisafe offers a simple security solution at reasonably affordable price points. Equipment is DIY only and must be purchased separate from the monitoring..so upfront costs are higher. Their product offerings are a bit limited,but if you are looking for basic security and cost effective monitoring, SimpliSafe is a solid choice. To learn more about SimpliSafe, check out our 2016 SimpliSafe Security Review and see if they made our top tier of best alarm companies in our Best Home Security Systems Comparison Chart . Slomin’s Security operates along the eastern seaboard. Despite the fact that they require a 5 year monitoring contract, Slomin’s Security enjoys an A+ BBB rating. offers a simple security solution at reasonably affordable price points. The website lacks transparency, so one must call for pricing. Make sure to examine the contract carefully, as online reviews indicate that reps do not always disclose the length of the contract. Additionally, be prepared for potentially expensive ongoing maintenance as there is only a one year warranty- unless you pony up an additional $115 annuully for the extended service program. 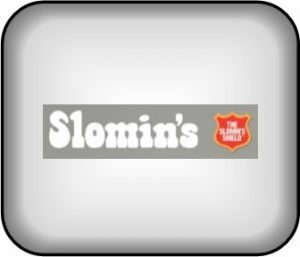 To learn more about Slomin’s Alarms , check out our 2017 Slomin’s Alarm Reviews and see how they might fare against our top tier of best alarm companies in our Home Security Company Comparison Chart . With an A+ BBB rating, a no questions asked 30 Day Risk Free Guarantee and the availability of No Contract Monitoring, SkyCover has a very customer friendly approach to home security. They offer reliable, top of the line, GE equipment and competitive monitoring pricing that includes select equipment upgrades at NO Cost. SkyCover may be the “new kid on the block”, but they deliver one of the best values in DIY wireless home security. SkyCover is an outstanding option for anyone looking to protect their home and family with a quality security and home automation system.To find out if Skycover is right for you, take a look at our 2016 Skycover Security Review and see if they made the grade in our Top Home Alarm Systems Comparison Chart. If you live in Texas and are only interested in no frill, bare bones security, Smith Thompson Alarms are worth considering. Alathough the start up costs may be higher than many of the alternatives, Smith Thompson security systems are available without having to sign a long term contract. They keep the monitoring rates low because they don’t offer any home automation or advanced features that come with most of the competition. To find out if Smith Thompson Security is right for you, take a look at our 2017 Smith Thompson Security Reviews and see how they compare to some of the top selling home security systems on por Top Rated Security Systems Comparison Chart. Time Warner Cable IntelligentHome Security offers a bundled home security and automation solution for TWC cable customers. Basic equipment packages are reasonably priced, but are leased and require an 18 month contract. To see how we rate Time Warner Security, check out our Time Warner Cable IntelligentHome Review …or see how the top alarm companies are ranked in our Best Rated Home Security Systems Comparison Chart. Vivint emphasizes the benefits of home automation and incorporates the latest 2 Gig brand of technology. Monthly monitoring and smart home solutions are more expensive than most other home security companies. Vivint offers quality customer service and installation, although their sales approach might be a bit aggressive for some customers. If you are looking for high end home automation Vivint is definitely worth your consideration. To investigate the Vivint security and home automation systems, see our Vivint Review …and check out our Best Rated Home Security Systems Chart to see how the best home security systems stack up against each other. Xfinity has recently entered the home security and automation industry with their line of Xfinity Home – Secure 300 and 350 lineup. Their proprietary equipment is competitively priced, although it may not be compatible with many other systems. The system is professionally installed by their own installers. For details on the Xfinity Home Security System, by Comcast, look over our Comcast Xfinity Home Security Review …and then head on over to our Top Rated Home Security Systems Comparison Chart and see how the best home security companies compare against one another. What’s the BEST Home Security System for me? Professional or Do It Yourself (DIY) Installation? Not too long ago, installation of home security systems required drilling, fishing wires and complicated programming- clearly a task for experienced professionals. Installation of modern systems require no drilling, cutting holes or fishing wires- as they are 100% wireless. The best DIY security companies pre-program the entire system before shipping it out so that basically, all that is left to do is mount the sensors and call in to have the system activated. Online videos and tutorials walk you through every step…and our top alarm companies all have outstanding customer service and tech support if you have any questions along the way. No longer is it necessary to wait days or even weeks to schedule a professional installation, risk being pressured for up-sales or allow a stranger into your home. At one time, security and home-automation systems were considered a luxury and only affordable for the well to do, but advances in technology have lowered prices dramatically . In recent years, home security and smart home systems have been made affordable for almost anyone. Now you can protect your home from break ins, home invasions, medical emergencies fires and floods….as well as monitor nearly every system in your home from the office…or the palm of your hand! And it doesn’t need to set your back thousands of dollars- these capabilities can now be purchased for little or nothing up front…or a few hundred dollars. Need to keep up front costs down? Some companies, like Protect America, now include most equipment costs in the monthly monitoring…increasing the monthly costs a bit, but making the initial investment affordable for almost anyone! What about Installation and Tech Support? A quality company will ensure a simple, streamlined installation experience by providing top notch installation instructions, video tutorials, and e-mail, chat and phone support with experienced installation personnel. But, no matter how good the instructions and videos are, sometimes, they don’t cover your specific scenario…or you just want a human being to reassure you that you’ve got it right. Companies like Frontpoint were built from the ground up to provide world class customer service, installation and tech support. Friendly, knowledgeable and helpful…it is in their DNA to ensure that your install is simple and painless…and that they always exceed your expectations. A company’s length of time in business, reputation and name recognition are important considerations. ADT has dominated the home security industry for over 100 years…as a matter of fact, ADT is almost synonymous with home security. While bigger isn’t always better….ADT has protected more homes, families and businesses than any other companies for a very long time. Is the system available for renters? Some companies require that you own the home, or secure permission from the homeowner before installing a system. Because they are 100% wireless and don’t require drilling holes in the wall…most of the DIY systems are available for renters. They are also very easy to relocate when you move. Are you looking for the latest, cutting edge technology or more reliable equipment with a proven track record? As with any industry, there are always new players introducing new technology. Qolsys and 2Gig have recently entered the security industry and are really making a name for themselves. While some people are comfortable with a company with little or no track record, many people prefer equipment that is proven and has stood the test of time Like GE/Interlogix and Honeywell. f you require more advanced video capabilities, you might also want to look into 3rd party video solutions, like Canari, Nest, Piper or a top new choice, Zmodo Pivot, to complement your security system. The only drawback might be the fat that they require a separate user interface, and aren’t supported by the same app that controls the security system. What monitoring services are available? Do you live in an area where cellular service is a challenge? What monitoring features are included? Do you want to incorporate home automation features and energy management into the system? Most of these systems are available with a la carte programs using Z-Wave or Zigbee communication technologies, most people prefer the convenience of an integrated, all in one, solution. These “escalation clauses” can result in unexpected and substantially higher rates as your contract matures. Most of the Telecom companies, such as Time Warner Cable IntelligentHome, AT&T Digital Life and Comcast Xfinity will offer a lower initial rate to get you hooked, with a substantial increase in the monthly monitoring rate after the first 6 months. Most of the time, you will be committing to at least a 3 year agreement. Shouldn’t your equipment be warrantied as long as you are a customer? And when it comes to something as important as protecting your home and family, customer service is of paramount importance. Once you have spent some time considering these factors, see how our Top Alarm Companies fare in our side by side comparison chart, narrow it down to your top 3 or 4 choices and call in to get details, a free quote and ask about current special promotions. And afterwards, let our readers know who YOU selected and share your experiences in our customer reviews! What’s new with The Best Home Security Companies in 2017? SimpliSafe introduces their new SimpiSafe Camera – the Simplicam. After months of Beta testing, SimpliSafe has rolled out their long awaited SimpliSafe Camera known as the SimpliCam. Was it worth the wait? Get details in our SimpliSafe Reviews. TWC Intelligent Home owners are questioning the future of Time Warner Security as Charter Communications transitions over to Spectrum Home Security. Will the Intelligent Home continue to even exist? Find out in our update on TWC Intelligent Home. Do I need a permit to install a Security System? Do I need to get a permit to install a system from one of the Top Alarm Companies? Strictly speaking,you only need a permit with a professionally monitored. However, if the system is to be professionally monitored, that is a different story. In that case,many local towns would require a permit. In most cases, this means nothing more than filling out a simple registration form with a local law enforcement department and sometimes a modest registration fee. You will more than likely be asked to supply the company name, address and phone number of your service provider, as well as the monitoring station, if the two organisations are different. Wherever permits are required, most municipalities will look for a one time payment to register an individual’s home security system, and some areas require an yearly renewal fee, additionally. In some cities with higher crime rates and/or false alarm rates, failing to register might result in a refusal to respond to residences that don’t have an alarm permit…although this is relatively unusual. However, you might be subject to additional fees when police, fire or emergency medical support end up being dispatched to an establishment without a permit.. In addition, many municipalities assess penalties and fees to property owners that experience multiple false alarms over the course of a year. Typically, the first 1-2 dispatches will not result in penalties. After the first couple, however, most cities and towns will assess penalties and fees that range from $25-50 for the 1st enforceable offense…to $100-200 for subsequent repeat infractions. That’s why it is so important for anyone who purchases a system from one of our top alarm companies to call his / her local police department to learn what permits will be required. Make sure to get familiar with the local regulations and take our recommended basic steps to avoid false alarms. Strategies to Prevent False Alarms with even the Best Home Security System. To be clear, none of our top alarm companies is going to charge you for a false alarm. As stated earlier, false alarms caused by home security systems are not merely an inconvenience, but can ultimately become a strain on your community law enforcement resources. Consequently, they may administer fees and penalties for false alarms. The majority of police and fire calls to residences with security systems are a result of false alarms. Consequently, most cities require charges to alarm system owners once they exceed a certain amount of false alarms. To prevent this from impacting your wallet, here are some ideas to protect yourself from a false alarm by any of our top alarm companies. .• Make sure that everybody knows how to disarm your system. You will have a master passcode, along with a number of additional individual codes that can be programmed into the system. Try to ensure that everybody knows their code and learns how to disarm the security system. • Be certain that everyone knows the security password. If there is an alarm, the central monitoring station will almost always contact your house first and ask for the security password to make sure that that the person responding is really an authorized party. In cases where the individual answering the call doesn’t provide the correct security password, the police will likely be sent. • Be certain that every window and door is properly secured before setting the system. The alarm can easily be set off if a gust of wind blows open a door or window when you are away from the home. • Ensure that all devices are placed safely and securely and in the most suitable places. Motion sensors should be set up at a height of 6’ and in an area that is devoid of fans, heating units, fireplace and air conditioning systems. • Be conscious of items which could set off a motion sensor. This includes pets, fireplaces, heaters and air-conditioning units that might blow draperies around. • Ideally, pets should be confines away from area with motion detectors. If that isn’t possible, all of our best home security companies offer “pet friendly” or “pet immune” sensors which are able to screen out smaller sized pets below 40, 50 even 80 lbs. Top alarm companies can also provide glass break sensors or explain how to set up “pet alleys” so that pets can move about freely . • You’ll want to replace batteries when needed. All top alarm systems utilize Li -Ion batteries which usually have at the very least a 2 year likely lifespan. The best home security system will have apps that usually alert you as soon as the batteries are becoming low. The control panel will also continue to warn you if there’s less than about thirty days of effective life. It’s a good idea to keep surplus batteries on hand and switch them out right away. Your system will also alert you should there be any other troubles with sensors. In the event you receive a system error notification, conduct a status check and check out the sensor. Get hold of your service provider if it looks like anything is not working properly. Store user manuals/codes/passwords in a secure location where they can be checked if needed. Even the best security systems from top alarm companies can have issues, but the vast majority of false alarms are the result of operator errors. Ultimately, the best way to avoid false alarms is to utilize your system on a consistent basis and make certain everyone understands how to operate the system. As they say. am ounce of prevention is worth a pound of cure, these common sense security recommendations can help prevent being targeted by burglars and thieves while you are away from home. The following several simple measures to safeguard your home from thieves. 1. If you are going to sleep in the evening, or just going to be out of the house, shut and secure all doors and windows. 2. Strengthen entry doors by using deadbolt locks with heavy duty strike plates which have a minimum one inch throw. 3. Secure sliding glass doorways. Place a steel rod or piece of plywood in the track and install vertical bolts. These will help you to protect against potential thieves from forcing the entrance open or raising it away from the track. 4. Keep shrubs as well as bushes around windows and doors trimmed,. This will make it difficult for a thief to stay concealed.. 5. Keep the your house properly illuminated. Outside motion lighting is a terrific deterrant against night time property invasions. 6. Try to make the your house appear occupied. Set lighting as well as electronics on arbitrary electronic timers to give the perception someone might be home. Have a next door neighbor park his or her vehicle in your driveway. 7. If you are going away, have a friend collect the newspapers. Suspend mail delivery and arrange to have the lawn cut or driveway shoveled. 8. Be sure extravagant items are not visible from the exterior by drawing the shades. 9. Give a spare set of keys to a trusted next door neighbor. You should not leave them beneath a door mat, over the door or under a plant pot. 10. Don’t leave a message indicating vacation plans on the answering machine, e-mail auto-responder, or on social media sites. Do let the police and a trusted next door neighbor know.. and then have them keep an eye on your home when you are away. Consider a professionally monitored home security system from one of the leading alarm companies above. It is going to greatly reduce the odds of an attempted burglary, and give you a number of other life safety benefits that will enhance your sense of security and provide you with 24/7 peace of mind! Thank you for visiting The Home Security Advisor. Please feel free to share, Like, Google+ or contribute you comments to Top Alarm Companies | The Ultimate Guide to Best Home Security Systems Comparisons. Choosing the best home security systems is an ongoing process. We are constantly updating our alarm company reviews and appreciate your comments and thoughts on what you feel should be included in our best rated home security systems!